24 Hours Blogging!..... 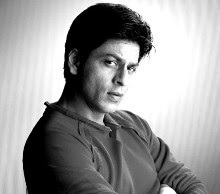 : Shah Rukh Follows Rajni! When Rajinikanth saw Katha Parayumbol, he loved the movie so much that he wanted the film to be remade in Tamil. P. Vasu and K. Balachander came together for this film, where Rajni reprises the role done by Mammootty. Kuselan is being made in Tamil and Telugu. Now Priyadarshan, who has remade many Malayalam films in Hindi, is making the film in Hindi with Shah Rukh Khan into Mammootty's shoes. Looks like SRK is now following Superstar's footsteps.